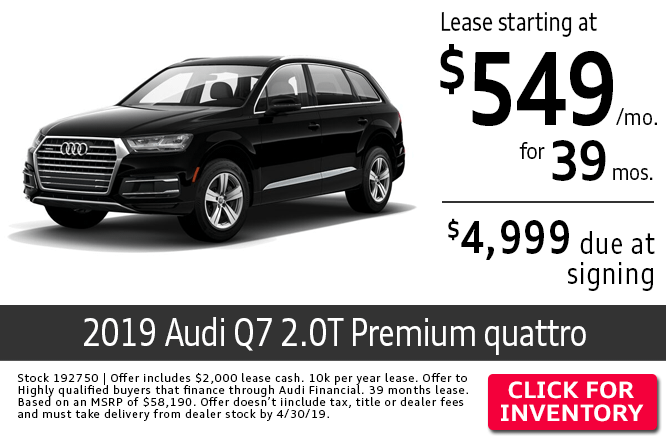 If you're looking for a new Audi in Columbus, OH, look no further than Audi Columbus! Our exceptional dealership is sure to have the car for you. Get the best deal possible on your new Audi with the our new vehicle specials listed here. If you're hoping to save even more, stop by our Audi vehicle finance center and speak with one of our financial experts. Audi Columbus is also always offering specials on used Audi cars near Powell, OH. 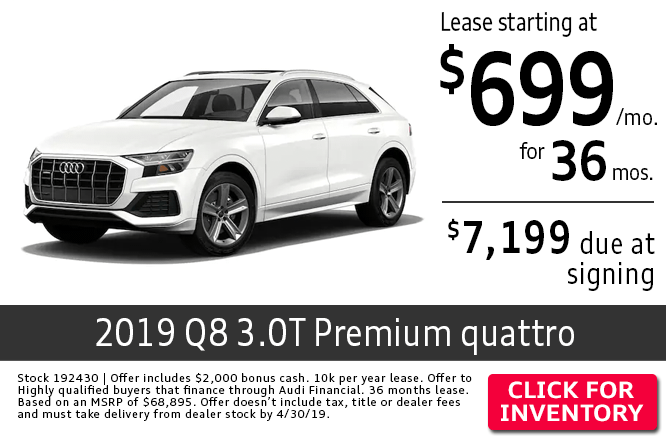 We're excited to get you into the new car of your dreams like the 2019 Audi Q5 or the 2019 Audi A6 near Westerville, OH so we will work with you to help finance the vehicle that best fits your needs. 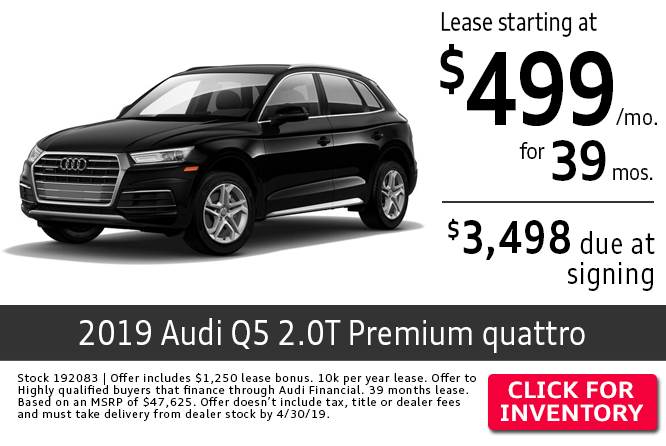 If you have any questions, give us a call or visit our Columbus, OH Audi car dealership today.